This term’s policy process has been extremely active, with a number of ideas sent out for consultation by the Policy Review Group (PRG) to determine whether students wanted them to become Union policy. Ideas were open to feedback for two weeks, which the PRG used to inform their decisions. Some of these ideas can be taken forward straight away, others have financial or governance implications which will need to be considered by YUSU’s trustee board. A briefing pack with the content of the ideas submitted can be read here. Any alternative venue should not be any less accessible than the racecourse. PRG notes that the proposal calls for an active search for an alternative venue and a transition away from holding Summer Ball at the racecourse, not a ban on doing so. Paper receipts should be opt-in rather than being removed altogether for accessibility reasons. Result: Proposal to be sent to a campus-wide referendum, with the referendum process beginning with the selection of campaign leaders in Week 2 of Spring Term. Result: Proposal to be deferred to the Spring Term policy cycle, pending a wider consultation with liberation networks and the idea holder on how best to achieve the aims of the principle. Some of these are straightforward and can transfer to become Union Policy for three years. These ideas will be assigned to a Sabbatical Officer and staff in the Union to work with the student on implementing their idea. It’s important to note that due to financial, legal, reputational or strategic factors, ideas cannot always be enacted ‘overnight’, but having them as Union policy shows the mandate for YUSU to work towards them and seek to make the change. 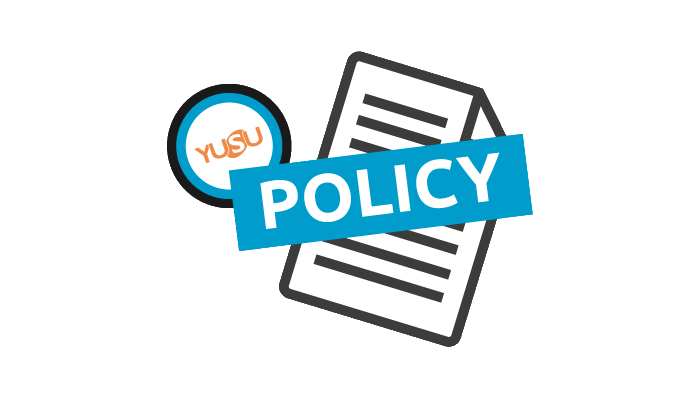 Ideas which have governance implications or financial implications must be considered by the trustee board to ensure that all policy passed by the Union is consistent with YUSU’s charitable objects and legal requirements. The role of the Trustee Board here and the provision for this is set out in clause 28.3 of the Union’s constitution. Are not accepted as Union Policy. This means the idea proceeds no further, but we will give feedback to the idea holder and try to better understand the issues they are trying to address, as there may be better or existing policies or campaigns which can help their aims. This means for the idea ‘YUSU to officially support a People’s Vote’, there will be a campus-wide vote to decide if the idea should become Union policy. In Week 2 (14th-18th of January) we will promote the upcoming vote and recruit two ‘Yes’ and ‘No’ campaign teams to argue their case. In Week 3 (21st-25th of January) there will be a campaigning week and students will be able to vote for or against the idea online. If you have a small suggestion to make things work better, or a big idea for bringing about massive change in your Union, University or the City of York, we’re listening. Any member of YUSU can submit ideas, big or small, to us to begin a conversation which could end up with your idea becoming Union policy! Follow the link here to join the conversation.